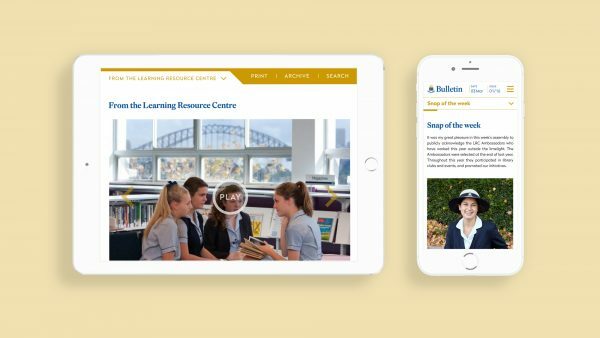 St Vincent’s College in Sydney’s Potts Point is a truly innovative education provider, offering students from both city and rural backgrounds a warm and supportive environment that fosters independence, compassion and confidence. To develop a suite of new communication tools, both digital and print, that extend the College’s core messaging of courageous women of action. 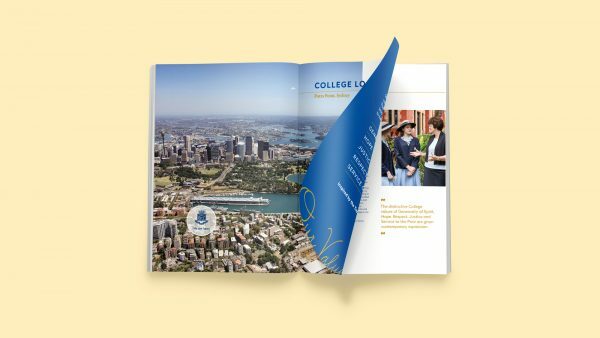 Up until this point, the school has struggled to create a unique and compelling brand positioning, identifying that there is no clear brand promise being offered to families. The online newsletter and prospectus should facilitate invigorated and meaningful communications with the St Vincent’s community. Leveraging the delivery and know-how from our projects for other schools, Equilibrium were able to deliver a holistic, unique and compelling narrative for the college. 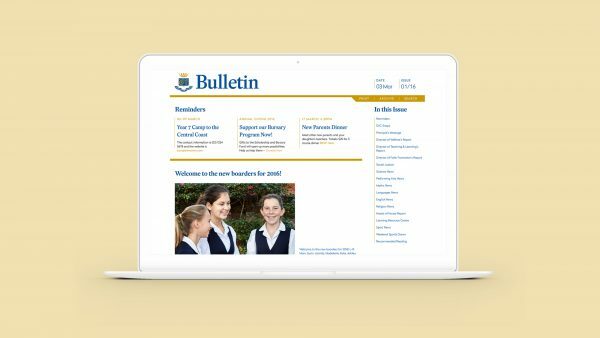 The new online newsletter, The Bulletin, reduces the administrative burden of authoring and sharing communications for staff at the school, and increases engagement and easier access to timely news for parents and community members. 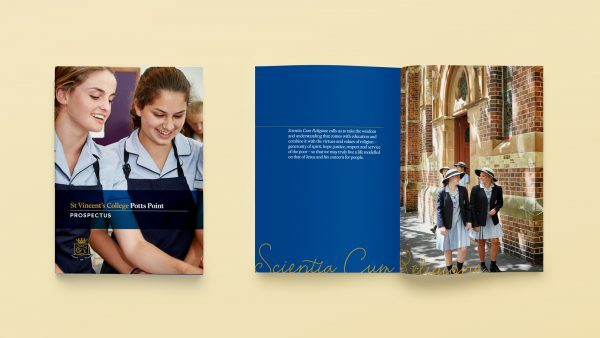 Supported by two photoshoots, the Prospectus is a fresh and bold approach that helps Vinnies stand out from other girls’ boarding schools, creating a distinctive voice with sophisticated design and authentic photography. It was a delight to work with the Equilibrium team recently creating a new College online newsletter. 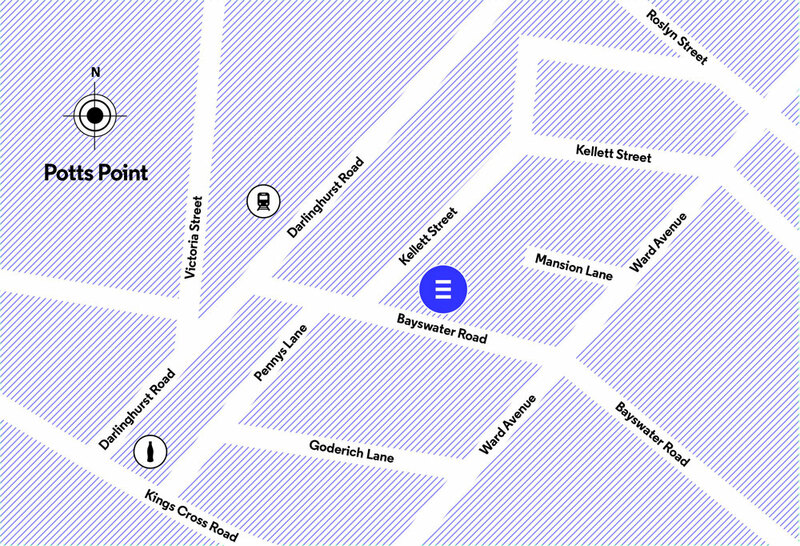 Bec and the team are extremely professional, responsive and creative in the way they worked collaboratively with us. The end product is fantastic, and has been received so well by our community. The continued support and training from Equilibrium has ensured internally smooth roll out of this new platform. I look forward to working with Equilibrium on future projects. Let me congratulate you on the new format for the Bulletin. It is the best and most screen-friendly format I have experienced. I work in a school and have 4 kids in 4 different schools so I feel I can comment!